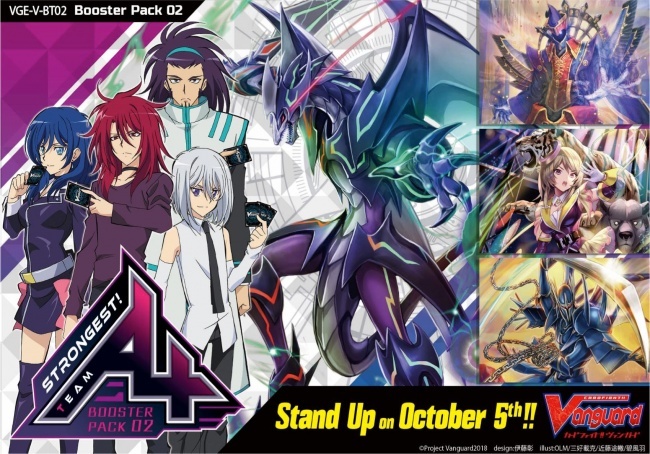 Bushiroad�s campaign to bring Cardfight!! 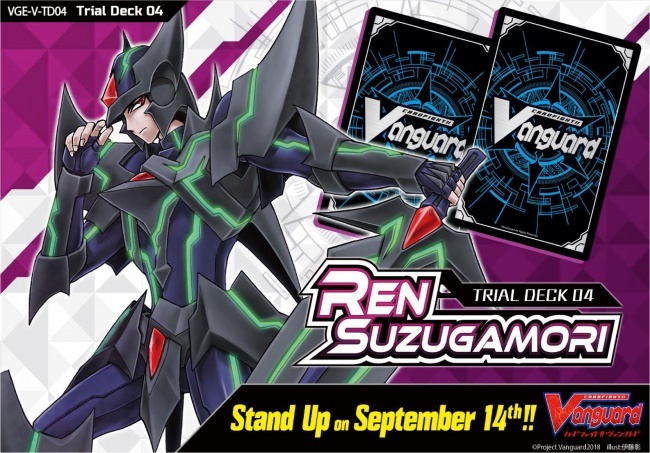 Vanguard back to its roots continues with two new releases planned for the fall: Trial Deck 04 - Ren Suzugamori will release on September 14, followed by Booster Pack 02 - Strongest! Team AL4, on October 5, with a pre-release event planned for September 28-30. Ren Suzugamori introduces the leader of Team Asteroid from the animated series. This Trial Deck is built around the Shadow Paladin clan favored by that competitor and includes four copies each of the exclusive "The Dark Dictator" and "Blaster Dark" cards. The pre-constructed deck is made up of 50 cards, a total of 14 different new cards, along with a play guide, playmat, and 3 Gift Markers. Four of the cards in the deck are holo cards, and some random decks will also have a copy of "Blaster Dark" hot stamped with Akira Ito�s signature or a RRR version of a Gift Marker with Ito�s signature. The decks will be sold in six-deck display boxes. Bushiroad will celebrate the release of Strongest! Team AL4 with a pre-release event the weekend of September 28 to 30. Retailers who wish to host events during that weekend can order the Strongest! Team AL4 Sneak Preview Kit, which includes 39 booster packs, 9 promo cards, and 2 rubber playmats, enough material for eight participants.